May is an exciting time of year for Lancaster University students and the fashion industry alike. It marks the end of the academic year, usually the turning point for sunnier weather, and plenty of red carpet events, like the Cannes Film Festival, for the fashion elite to model the latest trends. 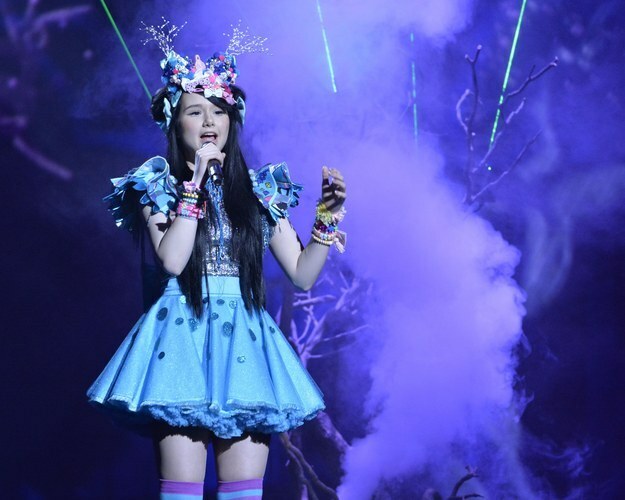 It is also when Eurovision, the annual song competition, takes place. When it comes to Eurovision, the marmite equivalent of televised entertainment shows, you either love it or hate it. I am firmly in the ‘hate’ camp. And there are many reasons for my hate. I do not even slightly understand the voting system and find it far too political to appreciate it, it merely masquerades as a singing competition. 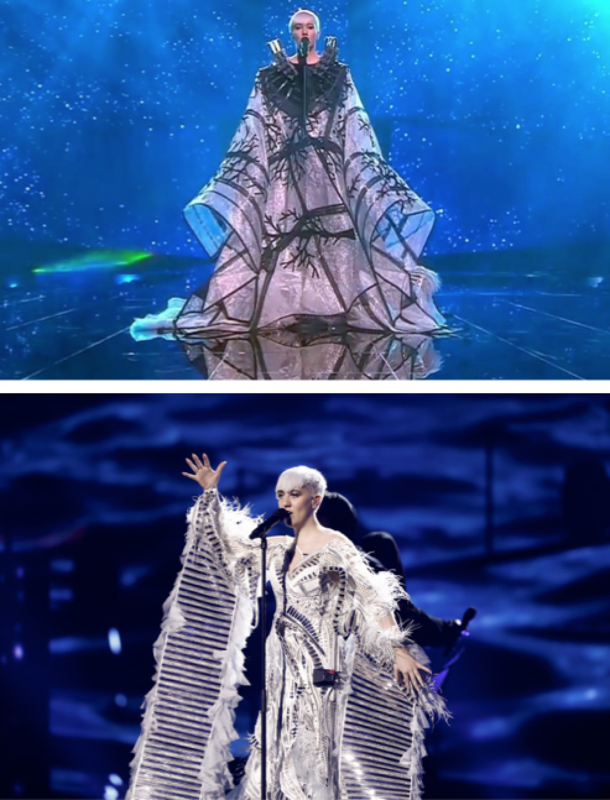 But, the main reason I dislike Eurovision is because it is where fashion goes to die. 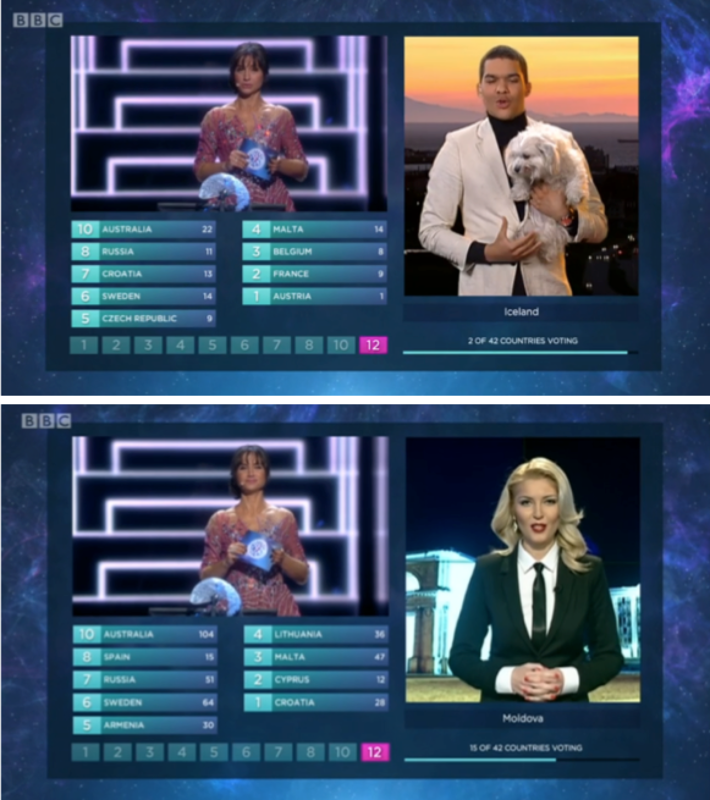 Accuse me of overdramaticising the situation, but the costumes that are paraded on and off the stage, and even those sported by the presenters reporting their countries scores, are truly awful. 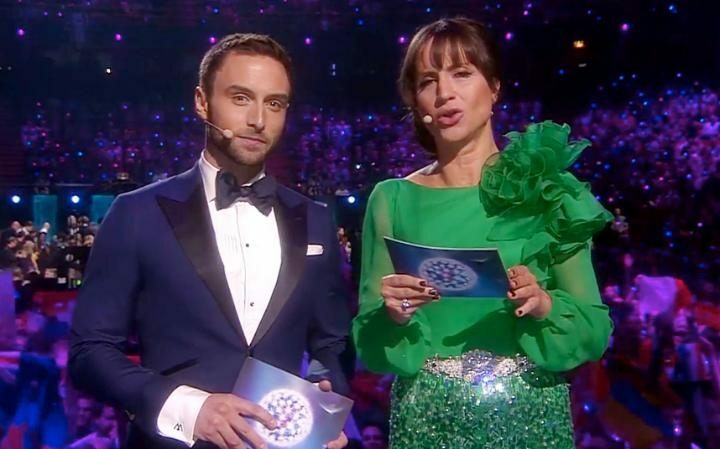 While I couldn’t bear to subject myself to actually sitting through the seemingly never ending programme, I rifled through the next day’s news reports and was disappointed in what I saw while also not remotely surprised at the lack of fashion sense Eurovision 2016 brought to Sweden, this year’s host country. 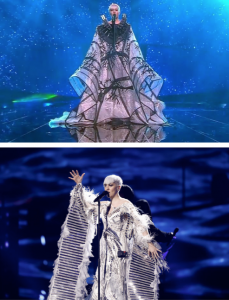 I have selected a few of my favourite (for a lack of a better word) outfits from the night that truly represent why Eurovision is the least fashion friendly televised event ever. Starting with the host of the night, comedienne Petra Mede. The green catastrophe of a dress she wore to present the competition looked like it had been buried at the back of her wardrobe since the last time she wore it in the 80s. Despite statement skirts and vintage pieces being on trend, this outfit really missed the mark. The ruffled draping on her shoulder that resembled a cabbage is largely to blame. 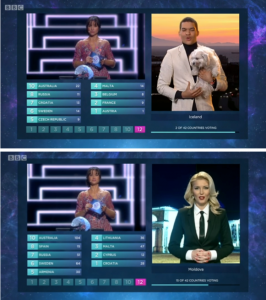 While Moldova was clearly trying to work the androgynous look, I felt her suit and tie to be too stiff, causing her to look as if she were attending a costume party dressed as Will Smith in Men In Black. Androgyny is intended to flaunt the fashion rules and ignore societal boundaries of gender, allowing women to not only embrace men’s clothing but also look better than men while doing so! As for Iceland, it seemed their representative was also dressed in costume. The white suit paired with a black turtleneck jumper should have been left in the 80s, along with Petra Mede’s dress. The addition of a lap dog completed the costume of an evil villain from an Austin Powers film. Now for the actual contestants… Both Hungary and Spain’s entrants did not have entirely bad outfits. Wearing a classic jeans and white tee combo, it seems Hungary was relying on these simple style statements and his good looks. However, his half-tucked / half-untucked shirt, featuring an asymmetric seam across the front, not only let him down but also prompted much complaint from viewers with OCD. It was a similar story for Spain. While I cannot critique a sequin dress, the black biker boots were almost offensive. Not only were they too harsh for such a girly dress, they hit at a point on her leg that resulted in her looking short and stout. A simple heel or even a flat sandal would have been a much better option. These were not bad outfits; they were just badly put together. The contestant from Poland was another costume party attendant, apparently. 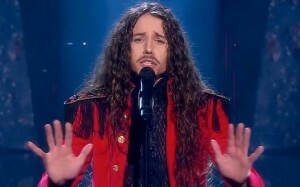 His red military jacket, complete with tasselled brocade shoulder pads, was worn over a high-necked black blouse that, paired with his long tousled hair and moustache, led to his comparison to Captain Hook. If he had worn a pirate hat he really would be the spitting image to the character, although a pirate hat would have made the outfit much weirder than it already was. In a possible reference to the current wearable tech trend, (I can only guess…) Croatia’s entrant was unfortunately far from the glamour that was exhibited at the 2016 Met Gala ‘Manus x Machina: Fashion in an Age of Technology.’ In an embroidered cape with interesting neckpiece, the gown literally buried the singer, leaving her unable to move with only her head visible. This was until the cape was ripped away mid-performance, revealing a silver and netted dress beneath. There was still too much fabric though as the second ensemble featured sleeves that reached all the way to the floor. It was as if she’d draped a foil blanket over each arm. 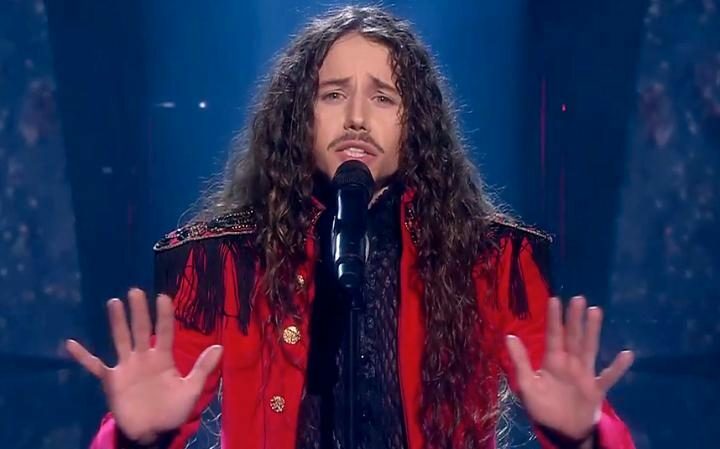 I can’t say I feel as if I’ve missed out having not watched Eurovision this year. Photographic evidence was more than enough airtime of these costumes; in fact, I’m actually rather relieved I didn’t have to sit through a three minute performance from each of these fashion victims. I will say this though, the only redeeming quality of Eurovision, in my eyes, is Graham Norton hosting the show for the British public watching at home. His sassy, and sometimes truly insulting, commentary is the only entertaining aspect of the whole evening. And with his recent makeover that brought the addition of a silver fox-esque beard, he’s easily the most fashionable person to appear on screen all night!